Chipotle's social media policy forbids employees from posting information that is "incomplete" or "inaccurate" as well as from making "disparaging, false, or misleading statements." Employees are directed to keep such information away from Twitter, Facebook and other social media sites. An administrative law judge ("ALJ") and the National Labor Relations Board ("NLRB") have found that policy to be a violation of the National Labor Relations Act ("NLRA"). It started with a customer tweet thanking Chipotle for its free food offer. An employee tweeted back "@Chipotle Tweets, nothing is free, only cheap #labor. Crew members make only $8.50hr how much is that steak bowl really?" A news article was attached that described how hourly workers had to work on snow days while particular high-level employees did not have the same requirement. A Chipotle manager told this employee that his tweets were in violation of the company's social media policy. In response to Chipotle's request, the employee took down his tweets. When he circulated a petition just a couple of weeks later because employees were not receiving their breaks, this employee was fired. 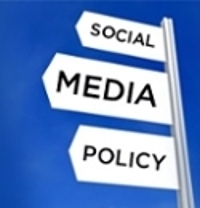 The ALJ and the NLRB both found that the language of the social media policy was unlawful. The ALJ stated, "An employer may not prohibit employee postings that are merely false or misleading. Rather, in order to lose the [NLRA]'s protection, more than a false or misleading statement by the employee is required; it must be shown that the employee had a malicious motive." The portion of the policy that precluded disparaging statements was also unlawful as it could impede employees from working together for their mutual aid or protection. Terminating the employee for circulating the petition was also found to be a violation of the NLRA. Chipotle was ordered to reinstate the employee with back pay.